Sole Collector sheds some light on why staying away from "early release" websites is a must. If you're a consistent follower of what's going on in the world of sneakers, you're more than likely well aware of all of the drama concerning "early release" sneakers. Offered by a number of overseas retailers, there is an endless amount of questions surrounding the authenticity and legitimacy of these "early release" models. With these sites offering buyers an almost infinite amount of anticipated releases, like the "Chicago" Air Jordan Retro 10 and next month's "Concord" Air Jordan Retro 11, the first thing that comes to mind is, "This is simply too good to be true." Proving just that, buyers this year quickly began to notice considerable differences between the "early release" sneakers they were receiving and authorized authentic Nike product available at more traditional brick and mortar stores. 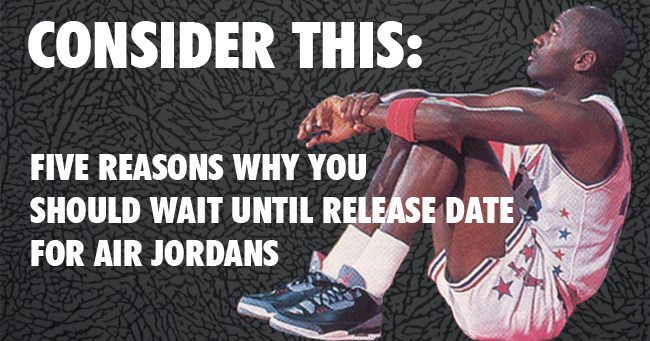 From misspelled Air Jordan branding to unreasonable prices, there is plenty of reason why the old school way of waiting until release date to cop your new Air Jordans is still the most reliable route to obtain the kicks you're after. Sure to answer many of the questions out there and spark some debate, here's five reasons why you should wait until release date to cop your new Air Jordans. Get the entire rundown below, let us know your thoughts on the current "early release" situation, and feel free to share your purchasing experiences in the comments below. When you really stop to think about it, it makes no sense to pay almost DOUBLE the retail price for a product that's nowhere near the same level of quality as pairs released at retail, which are themselves already a shell of the original model's quality. Also, since most of these "early release" shoes are overseas, shipping will cost a pretty penny. All that trouble and cost for a general release shoe, just to have them two months early? Something rarely pointed out is the fact that purchasing these early release sneakers supports illegal businesses. With unauthorized websites trying their best to pass these products off as authentic, the means by which they've obtained their sneakers clearly falls into a grey area. Perhaps direct theft is even involved. Also, supporting these sites takes away a ton of business your local retailers and "Mom n' Pop" shops can benefit from. Again, in relation to the unreasonable prices these sites are offering, it's really not worth paying for a pair of "Concords" or Retro 4s if you're not even getting the original packaging or accessories. Take the "Concords" for example -- many of these "early eelease" pairs were offered in unmarked Air Jordan boxes, or even damaged, second-quality boxes. No pull-out slider box, shoe trees or special tissue paper included. However, with an authentic pair on release date, you're guaranteed all accessories and packaging at a cheaper cost. One of the best things about this hobby is the memory we all have involving these certain sneakers, and especially Jordans. 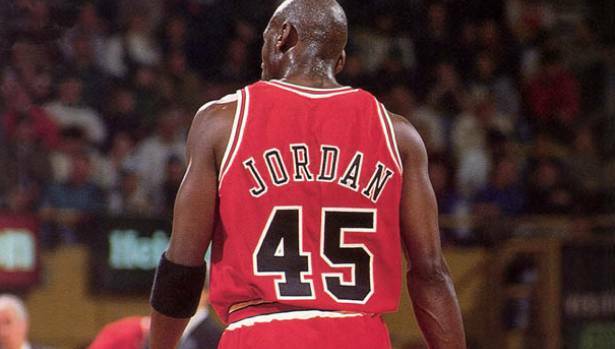 For many collectors, the memory of many Air Jordans begins with MJ debuting them to the world on an NBA court. These days, everything is seen for the first time on a website selling unauthorized products. When purchasing kicks on release date, there's still that thrill and chase to build memories not often found with just simply paying extra for "early release" kicks online. Here's the most important point in all of this, there's really no way to guarantee these kicks are authentic Nike products. It's pretty tough to ignore the growing number of signs pointing towards these products being fake. Several Forum members that bought the Black / Cement Retro 3 from early release sites reported poor quality issues and were instantly suspicious about their sneakers. 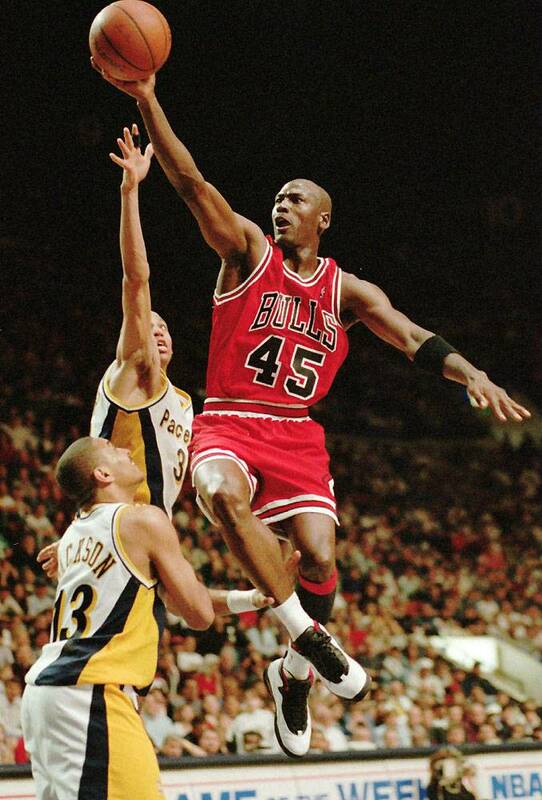 Most recently, the infamous "Air Randy" miraculously ended up with multiple sizes of Concords with MJ's #45 on the back. Thinking realistically, it's more than likely that these "samples" were manufactured on the side and weren't ever authorized Nike products. We're curious. What has your experience been like if you've purchased from an "early release" website? Were you satisfied? Did you suspect your shoes weren't authentic? Share your stories below in the comments.